We are unloading our last kiln and are ready for the Souper Bowl. 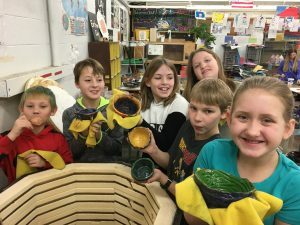 Posted on February 17, 2017 by merdzinskijamie	• This entry was posted in art and tagged clay, Souper Bowl. Bookmark the permalink.